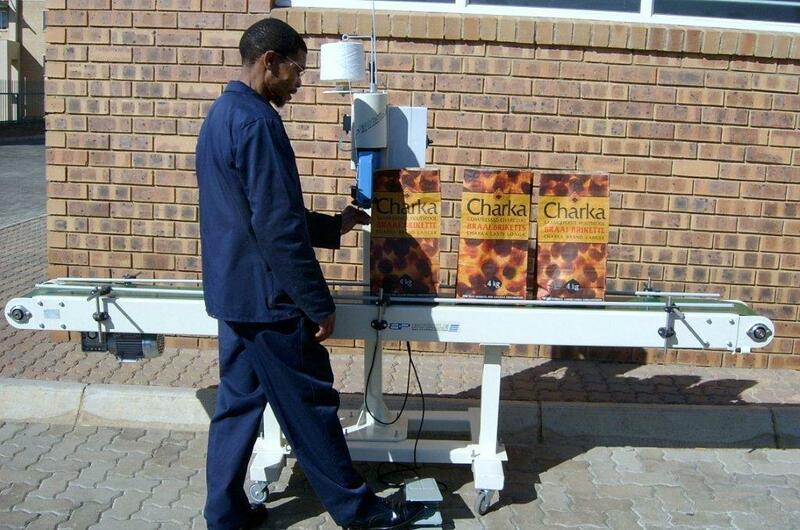 A light duty in-line bag closing system which is reliable yet inexpensive and easy to operate. This light duty Fischbein mini system substitutes the Fischbein heavy duty systems where high production is not required. 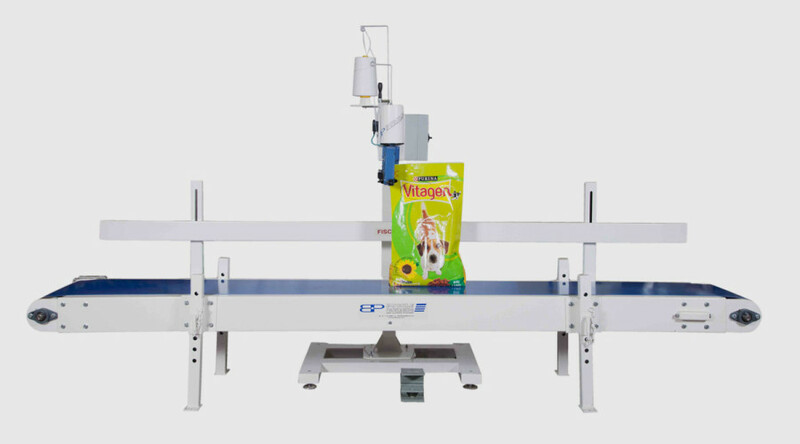 The SPF (Fischbein) mini system can be supplied with various options of conveyor belts depending on the bag size and weight. A popular choice within the Buckle Packaging range of equipment. Closing of open mouth filled bags. Woven, and unwoven polypropolene, paper and net bags. Corrosion resistance; protects against moisture, salt, oil and chemical contamination. Fischbein patented lubrication system with oil pump reservoir. Internal lubrication through centre of main shaft for better distribution. 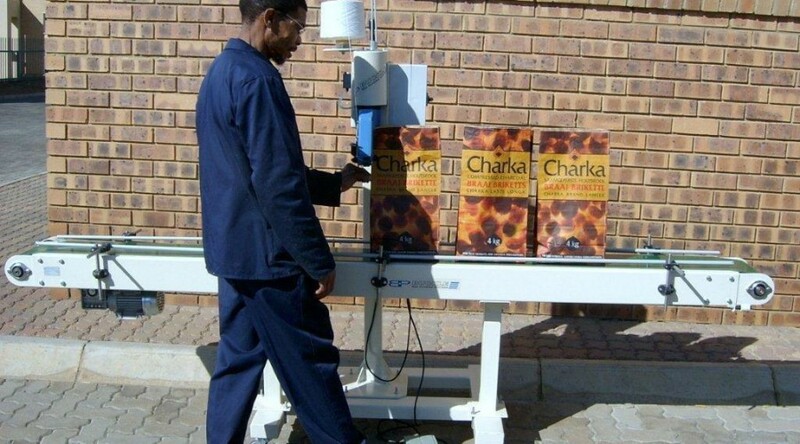 Service, repairs and spares readily available at our Johannesburg workshop. Thread and needles available ex-stock. Sewing Head: Fischbein Model “F”, fitted to manually adjustable column. 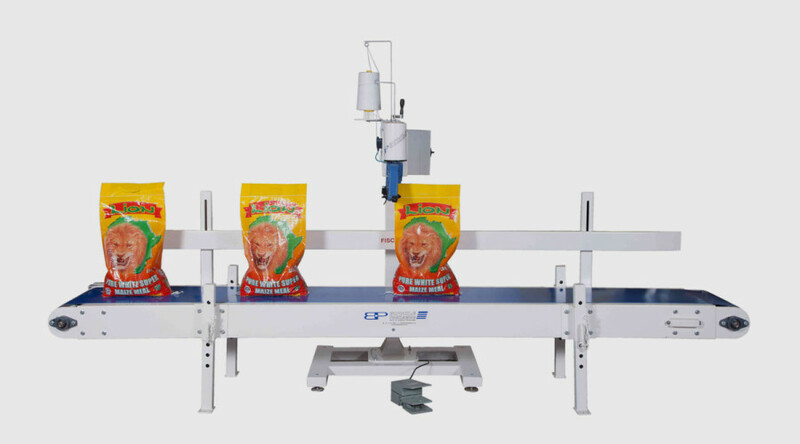 Conveyor: 2,5m long x 200mm wide belt with Twin Bag Guides (optional). Belt Speed: Approx. 9,4m per minute. Output: Approx 900 bags per hour.